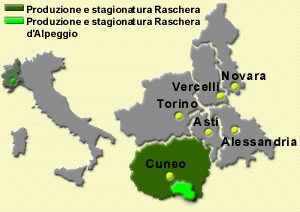 Today we're presenting an artisanal cheese, Raschera DOP in its two variants: regular and d'alpeggio or alpine pasture. 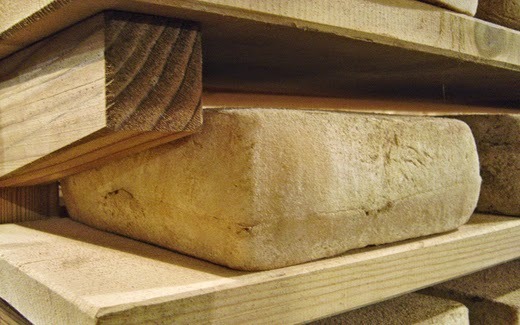 This is a traditional cheese of the Cuneo mountains and it can include cow, sheep or goat's milk. It is produced all year long and it can take two shapes: round or squared. It takes the name from Lake Raschera at the foot of Mt. Mongioie and its origins date back to the end of 1400, in fact, a legal document of that time states that shepherds in the Pamparato area, one of the communes where the cheese is produced, were supposed to pay their rent with Raschera wheels. 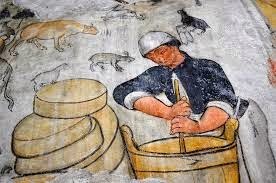 In Roccaforte Mondovi' a fresco by Giovanni Mazzucco portrays local monks making cheese. 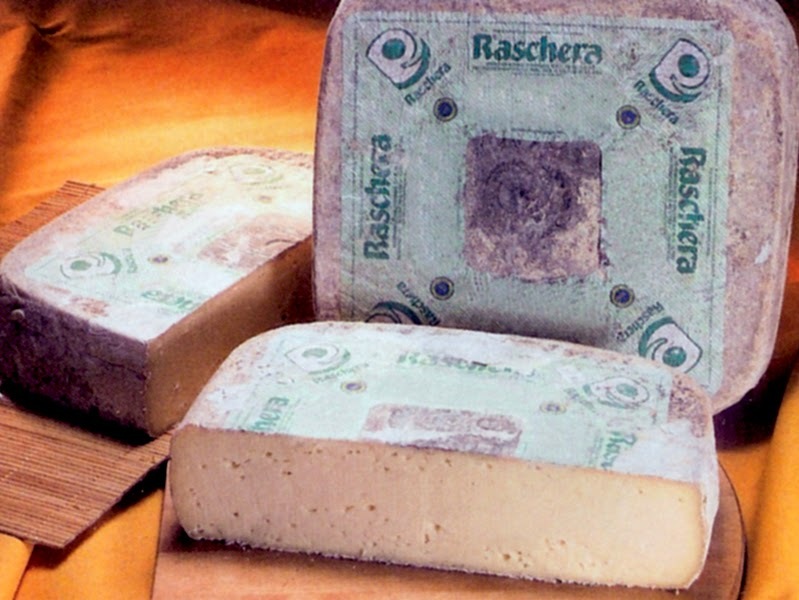 Nowadays 99% of Raschera has square shape which was created back when mules transported this cheese from the mountains to the valleys. 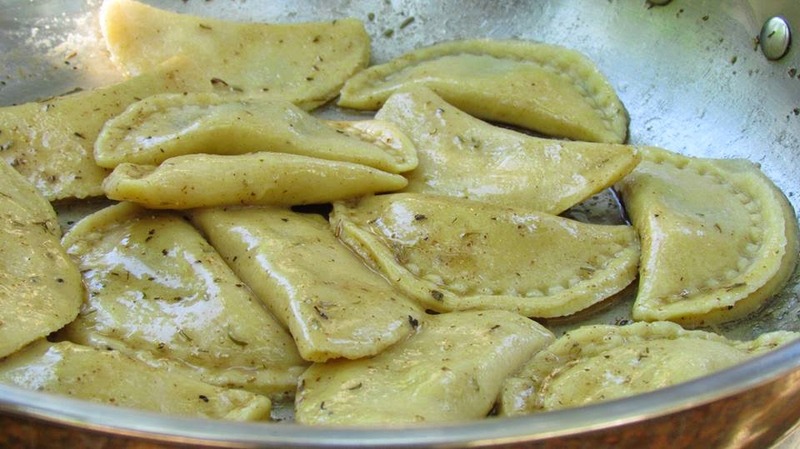 Raschera is delicious to be eaten on its own or added to salads. It can also be melted and added to risottos, ravioli and potato gnocchi. 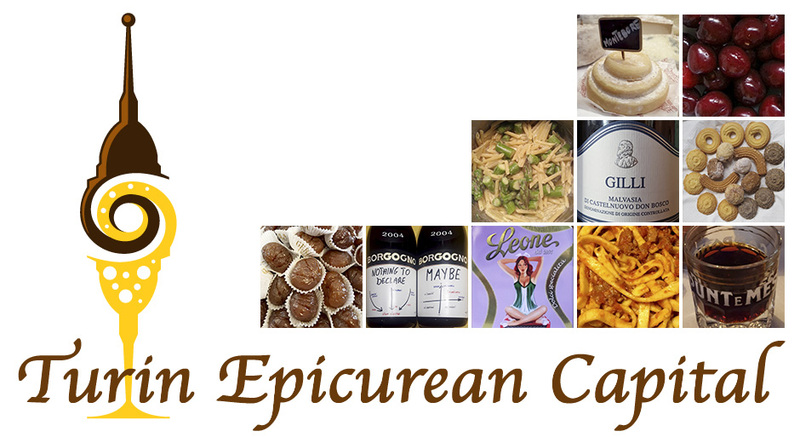 Follow your creativity and make any dish you like because Raschera is very flexible!